Everyone likes a good soak in a hot spring now and again, but imagine spending your whole life in one! Now imagine being the size of a pencil and unable to regulate your own body temperature, and you're doing a pretty good approximation of a Tibetan Hot-spring Snake (Thermophis). These tiny snakes reach only 2.5 feet in length and are found at fewer than ten sites on the Tibetan plateau in the Himalayan Mountains of south-central China, all above 14,000 feet elevation. For comparison, that's at least as tall as Mt. Rainier in Washington, Pike's Peak in Colorado, or Mont Blanc in the Alps. 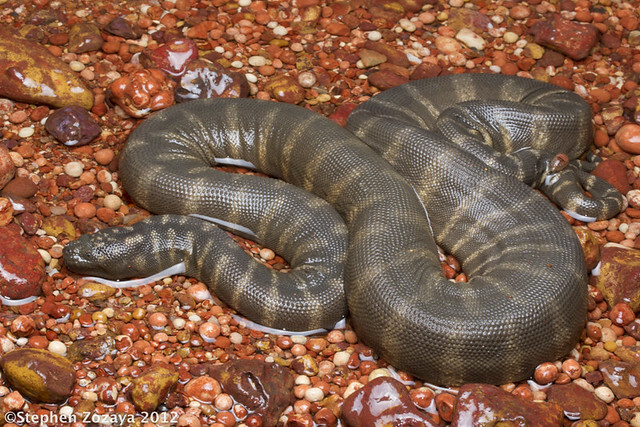 To cope with the cold, hot-spring snakes inhabit marshes, rivers, and rocky areas around sulfur-free hot springs, where they eat amphibians and fishes, including the dicroglossid frog Nanorana parkeri, the minnow Schizothorax oconnori, and elongate stone loaches in the genus Triplophysa. As you can see from this video, these are highly charismatic snakes. 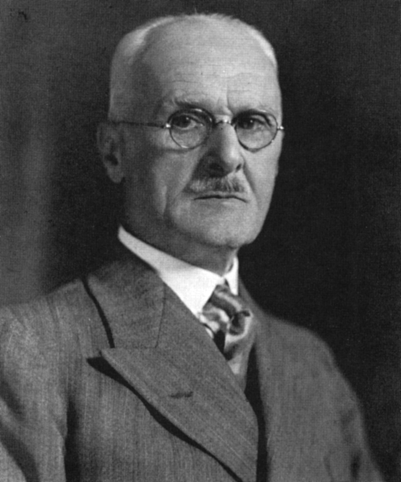 Hot-spring Snakes were first described in 1907 by a physician and herpetologist living in India named Frank Wall. Wall received specimens of this snake sent from Tibet by Lieutenant F. M. Bailey, who reported that local people familiar with the snake told him that it could be found within half a mile of certain hot springs at any time of the year (although he stated that they did not enter the spring water, which has since been shown to be false). Wall was impressed by the altitude at which the snakes were found, which to date is still higher than any other snake known! 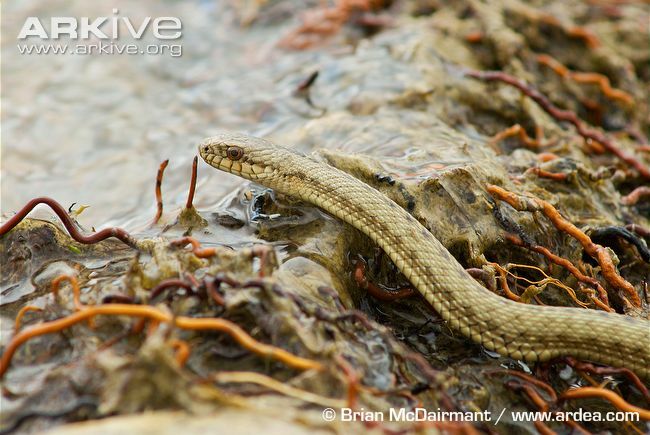 Wall named the snake Natrix baileyi after Bailey, and in 1953 herpetologist Edmond Malnate moved it into a newly erected genus, Thermophis, meaning "heat snake" in Greek, giving it the name is has today: Thermophis baileyi. In 2008 a second species of Thermophis was discovered which differs slightly in scale characters and body proportions. 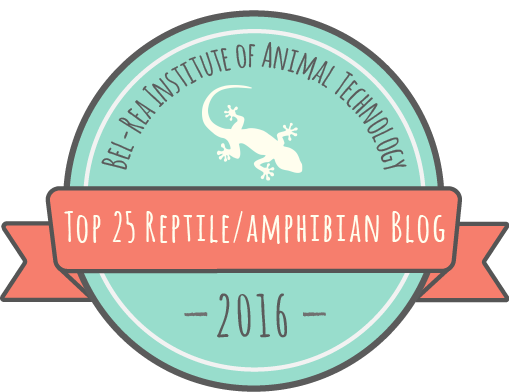 Peng Guo of Yibin University named it Thermophis zhaoermii for preeminent Chinese herpetologist Zhao Ermi. 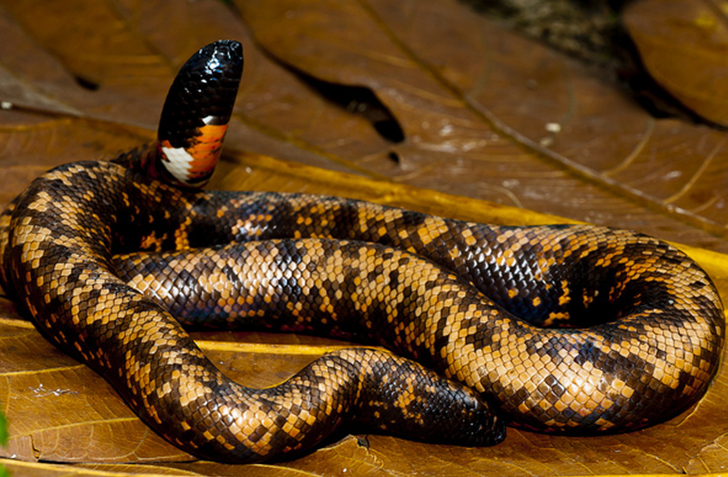 Just how remarkable these snakes are was not fully realized until recently. 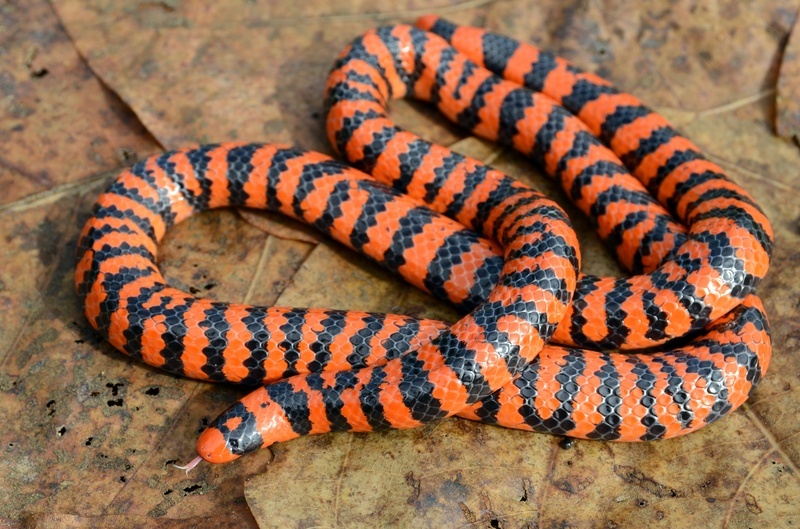 In the past, analyses of evolutionary relationships were limited to comparisons of morphological characteristics (for snakes, early taxonomists primarily relied on features of the scales and of the male reproductive organs, called hemipenes, to inform their hypotheses on how snakes were related to one another). 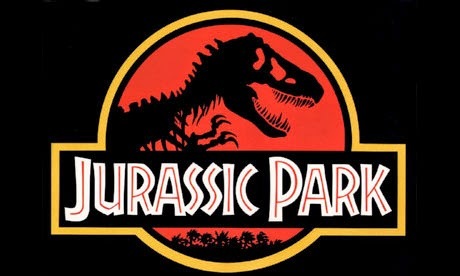 Modern advances in molecular biology have enabled taxonomists to compare genetic sequences of related organisms and discover the intricate branching pattern of the evolutionary tree of life, essentially the family tree of all life on Earth. Although molecular phylogenetics, as this branch of science is called, is not flawless, it can provide incredible insight into the ancestry of species that have no close living relatives and therefore are very unique morphologically, making them difficult to compare with other organisms. Hot-spring Snakes are in this very situation, and although to a non-specialist they look pretty much like any other snake, their evolutionary history remained a mystery until 2009, when a group of biologists led by Zhao Ermi published two papers on the evolutionary origins of Thermophis. 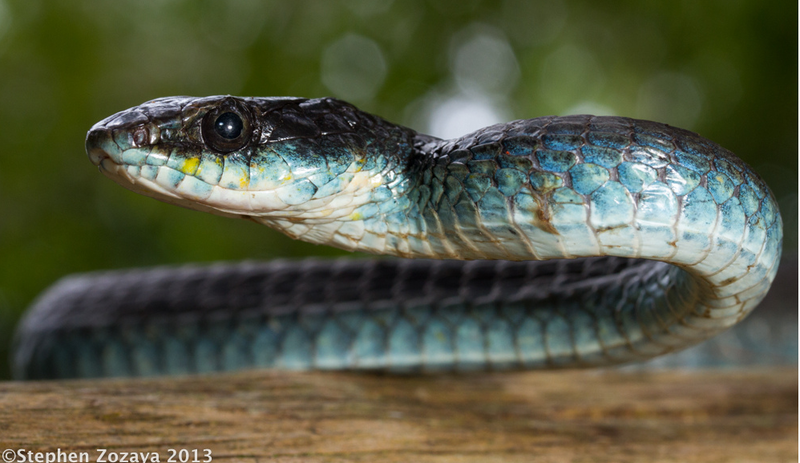 As it turns out, Hot-spring Snakes are most closely related to South American snakes called xenodontines. 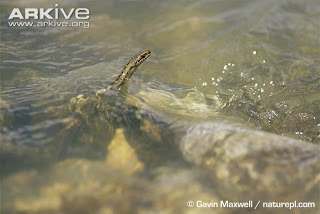 Xenodontinae is one of the largest subfamilies of colubrid snakes, with about 90 genera and more than 500 species known. They are primarily tropical snakes previously thought to be restricted to the Americas, and they include several well-known (and many poorly-known) species, among them the South American Hog-nosed Snakes (genus Xenodon). Similarities of hemipenal morphology had hinted at a relationship between these taxa, but who would have guessed that the closest relatives of Hot-spring Snakes lived nearly 10,000 miles away on the tropical other side of the world? Not I, for one. Probably the common ancestor of all modern colubrids (Thermophis and NA relicts included) lived in Asia more than 30 million years ago. When the Bering Land Bridge connected North America and Asia, some of these snakes dispersed eastward across it, just like the ancestors of sabre-toothed tigers, woolly mammoths, and even Tyrannosaurus rex1. These evolved into a North American snake fauna, now largely extinct except for the few aforementioned relicts, and a hugely successful South American snake fauna, which was isolated from North America for a 5 million year period during the late Miocene-early Pliocene when the Isthmus of Panama was submerged by the ocean. 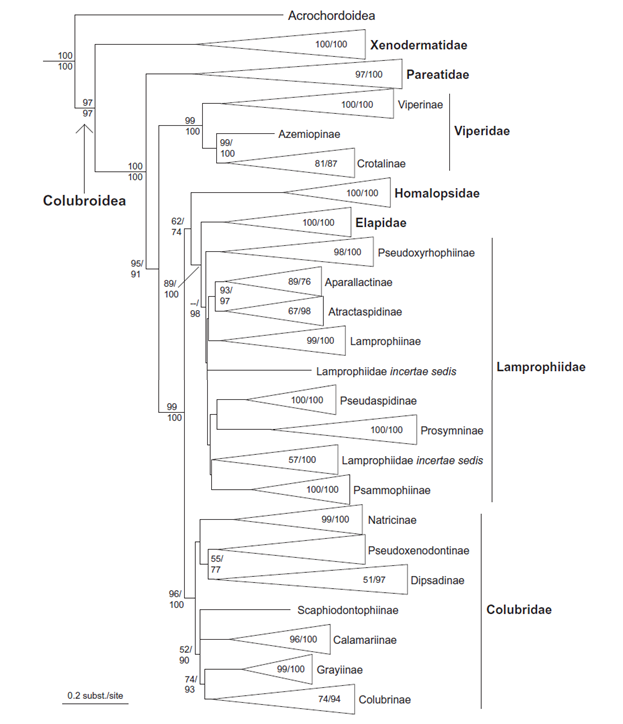 One reason for this disparity is that two other groups of colubrid snakes, which are today the dominant colubrids of North America, the colubrines and the natricines, dispersed from Asia to North America around the same time as the xenodontines. Apparently ancestral colubrines and natricines dispersed more slowly than xenodontines, because they didn't reach South America before it separated. 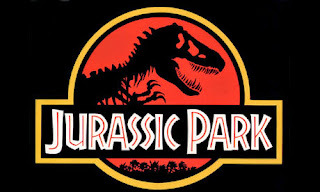 Instead, they only moved into South America following the most recent closing of the Isthmus of Panama in the late Pliocene, in an event known as the Great American Biotic Interchange. 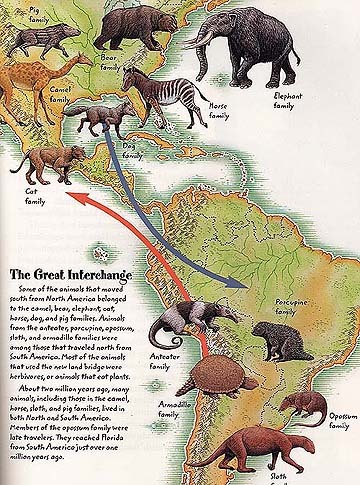 The GABI was responsible for allowing toads, treefrogs, opossums, armadillos, hummingbirds, and vampire bats to colonize North America, and salamanders, pit vipers, rabbits, squirrels, raccoons, deer, and jaguars (and colubrine and natricine snakes) to colonize South America. Assuming that Thermophis are all that's left of the original Asian proto-xenodontine snake stock, this pattern explains the evolutionary and biogeographic relationships of the Hot-spring Snakes and their relatives. However, given other recent discoveries in Asia, I wouldn't rule out the future discovery of another Asian proto-xenodontine more closely related to Thermophis than to any other known snake. One reason we know only a little about Thermophis is its high mountain habitat. Most of the mountain ranges in China run east-west, but the Hengduan Mountains, where Hot-spring Snakes are found, stretch north-south (the name "Hengduan" means "to transect" and "cut downward" in Chinese). Parallel north-south sub-ranges of the Hengduans are separated by deep river valleys through which flow the famous Three Parallel Rivers: the Nujiang (Salween), Lantsang (Mekong), and Jinshajiang (Upper Changjiang or Yangtze). Thermophis baileyi is distributed west of the Salween, whereas T. zhaoermii is distributed east of the Changjiang. Geologic uplift of the intervening region of southern Tibet has lasted for about the last 20 million years, about the same age as the divergence between the two extant species of Thermophis. It is hypothesized that refuges in the Kyi Chu/Lhasa and Yarlung Zhangbo valleys during the last glacial maximum probably allowed T. baileyi to persist in the west, alongside such glacial relicts as neo-endemic ground beetles, juniper trees, and even humans. 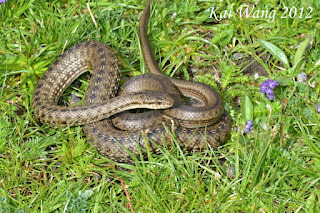 Following the end of the last Ice Age, they dispersed to other hot spring sites, and today connectivity among these sites is maintained when male snakes make rare movements among them, probably facilitated by the rivers and streams that connect the sites. Female snakes are less likely to disperse, because the plateau's short summers necessitate highly seasonal reproduction. Whether Thermophis are oviparous or viviparous is still unknown. 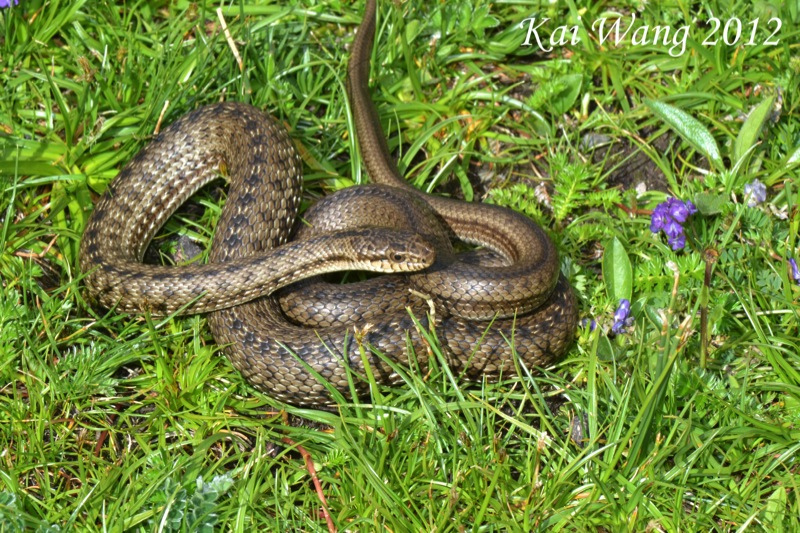 Although the advantages of living around hot springs at high altitudes, where the temperature is relatively cold, are pretty obvious, recent surveys by Ding-qi Rao found that Hot-spring Snakes also live in fields and other areas far from hot springs, suggesting that the species' ecological niche may be wider than previously thought. This is fortunate, both because the growing exploitation of geothermal energy has led to destruction and degradation of hot spring habitats, and because global climate change will likely continue to cause mountaintop habitats around the world to shrink, necessitating a shift upward in elevation by high-altitude species in order to follow their habitat. This problem has been documented for pikas and for birds and will likely affect Hot-spring Snakes too. Because the ability of mountaintop species to disperse across intervening areas to higher mountain ranges is limited, many may go extinct. Will we one day see the top of Mount Everest as the last foothold for Hot-spring Snakes? Let's hope not. Thanks to photographers Kai Wang, Daniel Winkler, Sylvia Hofmann, Brian McDiarmant, and Gavin Maxwell for use of their photographs, and to Tom Gidwitz, David Stevenson, and Greg Wenzel for allowing me to reproduce their artwork.